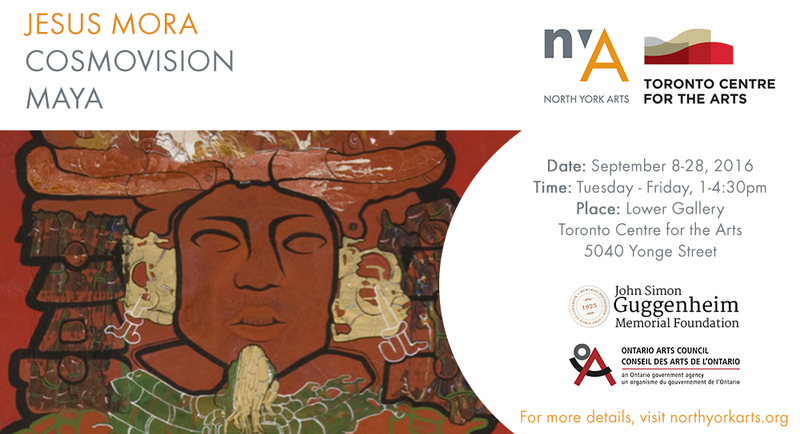 This September, Jesus Mora’s exhibits Cosmovision Maya at the Toronto Centre for the Arts. 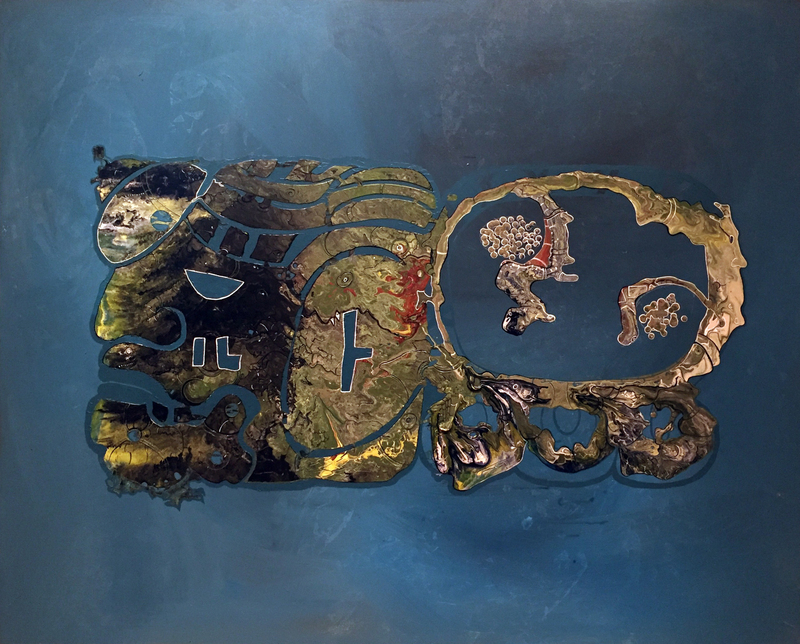 Presented by North York Arts, a Fellowship from The John Simon Guggenheim Memorial Foundation and a grant from the Ontario Arts Council, Mora’s series of paintings explore the teaches of Mayan cosmology he has learned from Bartolo Alvarez, a K’iche’ elder of the community. 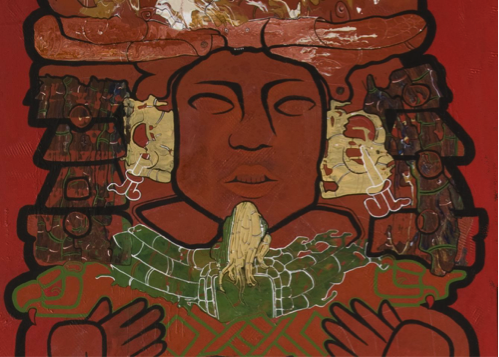 Using the ancient texts of the Pop Wuj, a series of paintings were created using Mayan iconography. 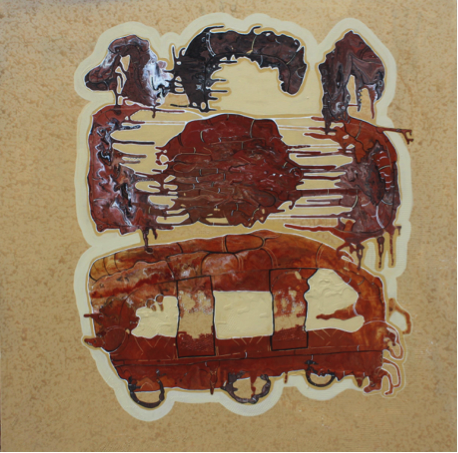 Mora writes: “The subjects of my work have a life cycle of their own, within which are contained reality, fantasy, the microscopic world and the universe. 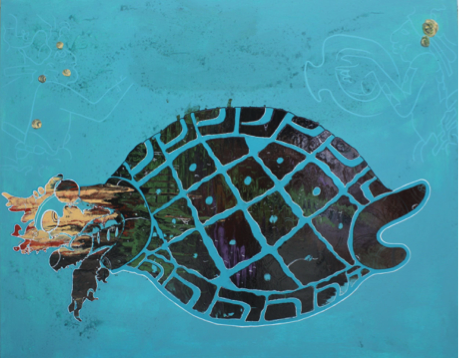 This represents a constant conversation between ourselves and our surroundings not only in the material world but also in the subconscious one.” You can see paintings from Cosmovision Maya at the Toronto Centre for the Arts in the Lower Gallery from September 8th to the 28th. A reception will be held on Mexican Independence Day, September 15th, from 5:30-7:30pm.